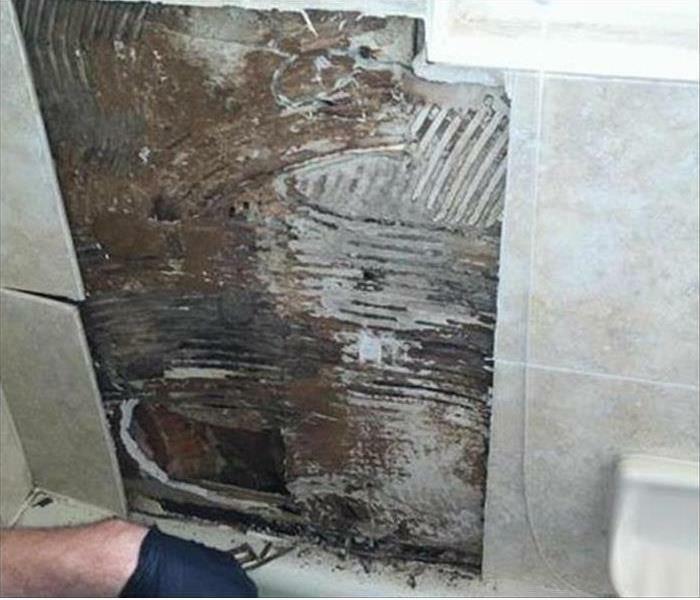 Water damage at this Port Orange’s bathroom occurred because a pipe burst under the sink during the night. 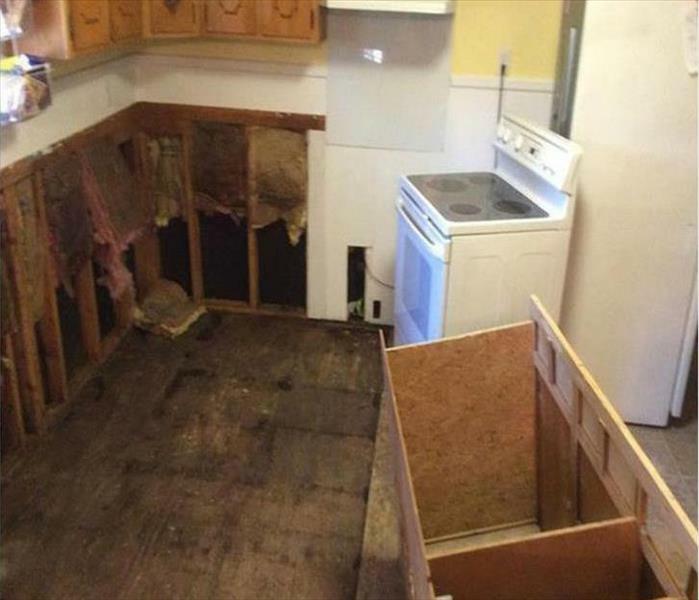 The residents did not discover the water damage until the next morning. By that time a significant amount of water damage had been done. There was soaked carpeting in the adjoining room, baseboard damage in the bathroom and the adjacent room. The vanity was also beyond restoration and would need to be removed. SERVPRO of South Daytona Beach / Port Orange provides emergency services 24/7 and would respond quickly to the homeowner's water damage problem. The team at SERVPRO of South Daytona Beach / Port Orange is your best option when it comes to mold damage remediation and restoration. We have the training, experience, and equipment to restore your home to pre-damage condition. 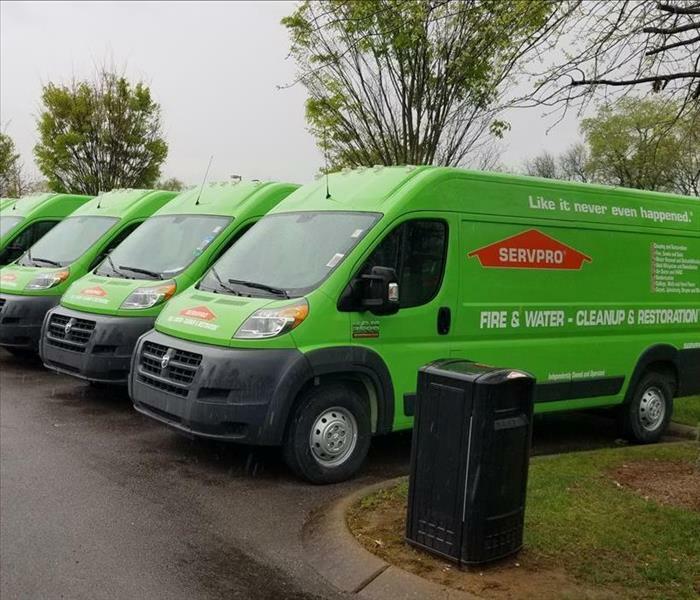 Our crew at SERVPRO is ready 24/7, locally owned and operated, and Faster to Any Size Disaster! 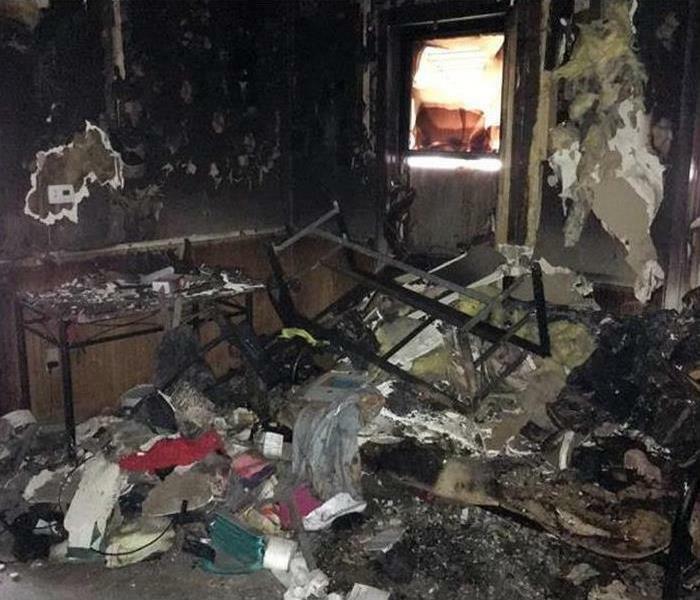 Fire damage began on the stovetop in the kitchen of this South Daytona home. 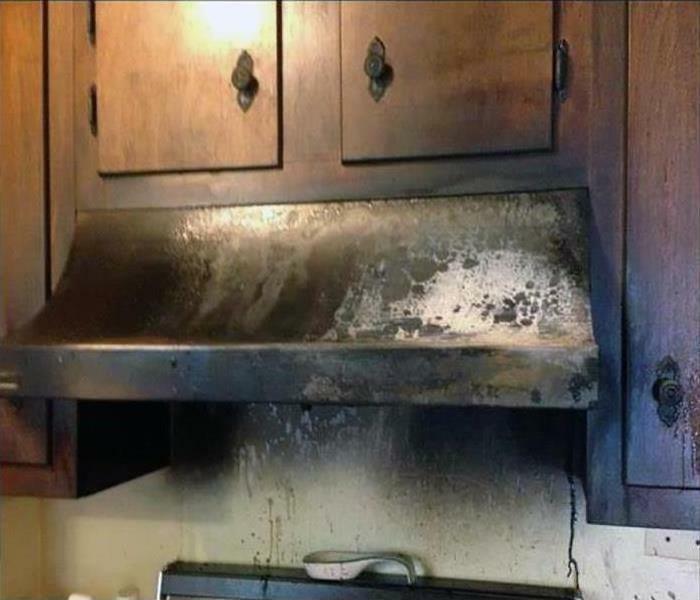 Stovetop fires, even when extinguished quickly, can cause significant fire and smoke damage. Soot and smoke normally cover the cabinetry and ceiling of the room. 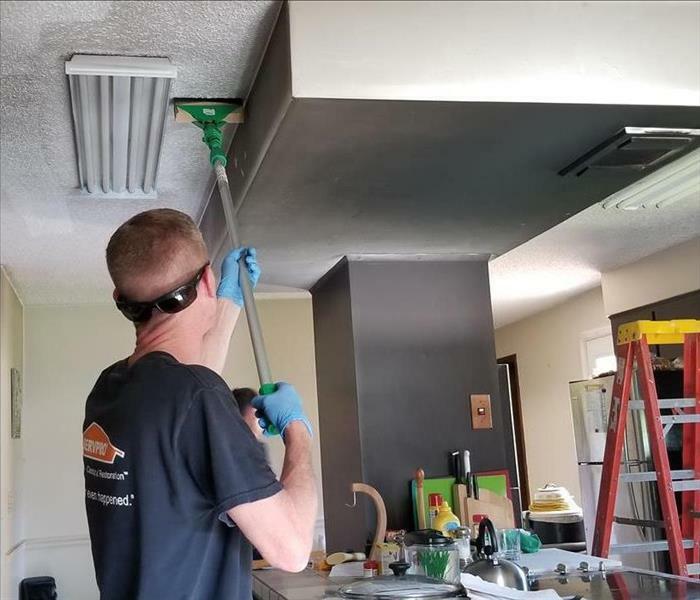 SERVPRO of South Daytona Beach / Port Orange employs highly trained and industry certified technicians that can clean and restore most damage of this nature. 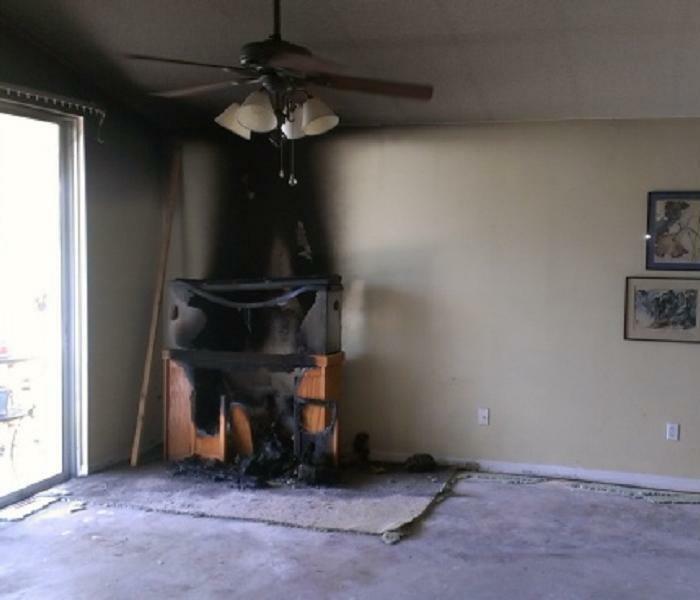 A unattended stove caused a fire at this home. SERVPRO of South Daytona Beach / Port Orange was dispatched for emergency services. Our technicians were able to removed the damaged contents and then clean the home once it was released by the Fire Department. Once the cleaning was done our construction crew rebuilt what was affected by the fire and made it "Like it never even happened." For water and fire & smoke cleanup and restoration services rely on SERVPRO of South Daytona Beach / Port Orange. 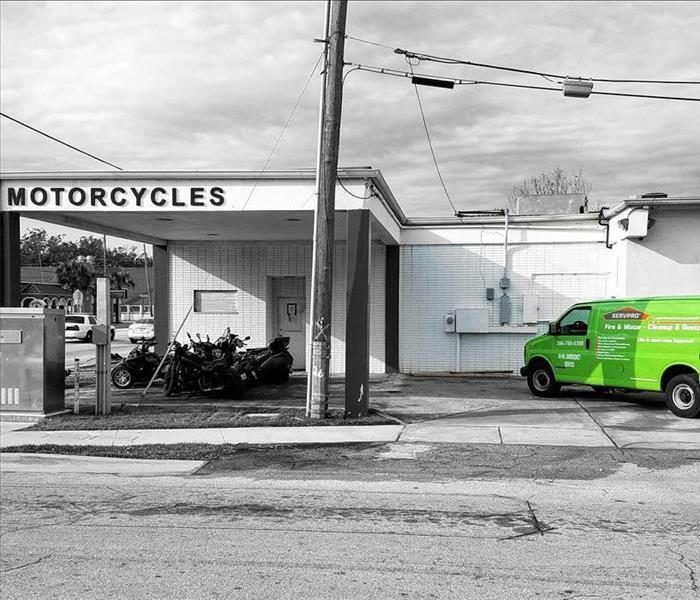 The Green Fleet can swiftly arrive since we offer a 24/7 commitment to assisting residential and commercial property owners for unexpected emergencies. Our team of highly skilled, IICRC certified technicians could immediately begin to mitigate losses making our customers and clients feel "Like it never even happened." From South Daytona and Port Orange to the Daytona International Speedway, We're Faster To Any Size Disaster. 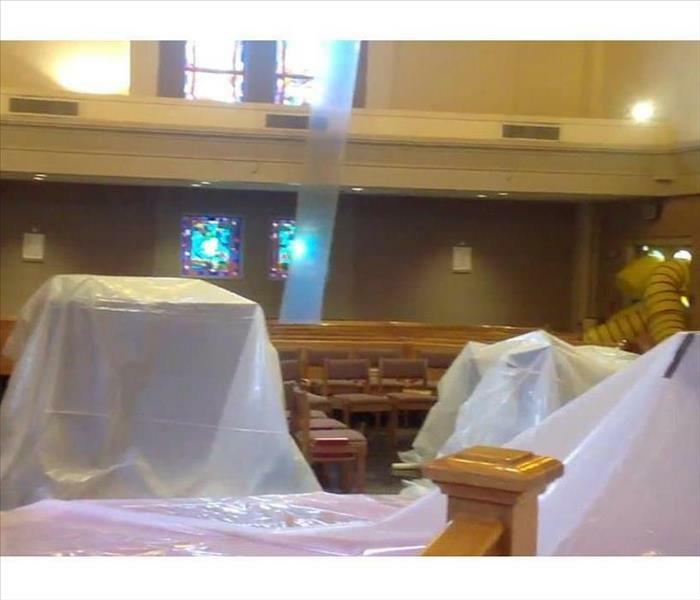 This house of worship suffered a mold infestation from a leak in the roof/A-Frame decorative wood. 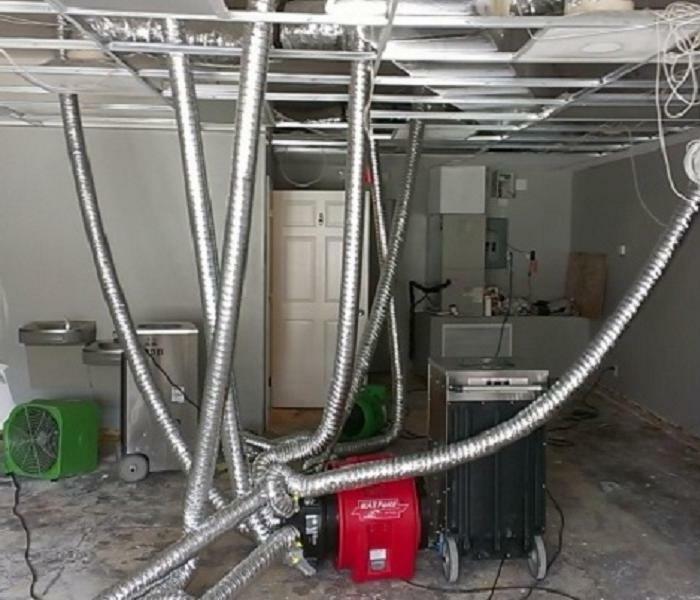 When commercial mold issues need attention in the Port Orange area, count on SERVPRO to use the right equipment, no matter how complicated, to complete the remediation successfully, and on time for regular services. 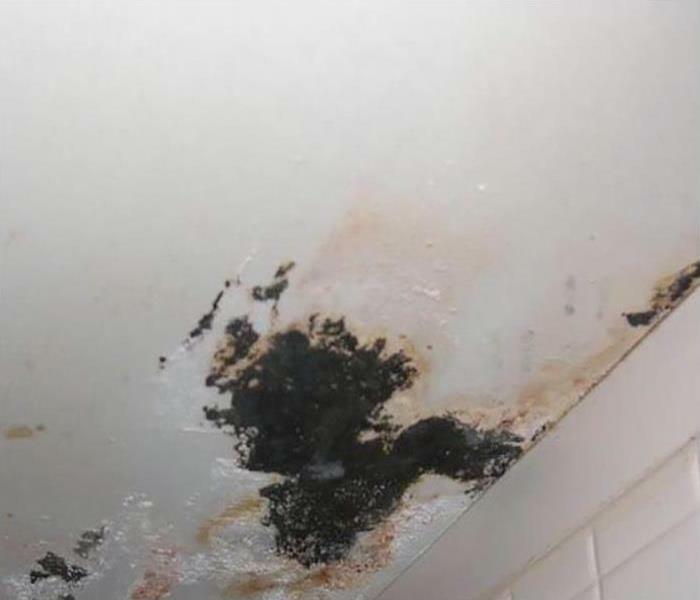 The water damage in the drop ceiling proved the perfect source for a mold proliferation that also affected the walls of this building in South Daytona. 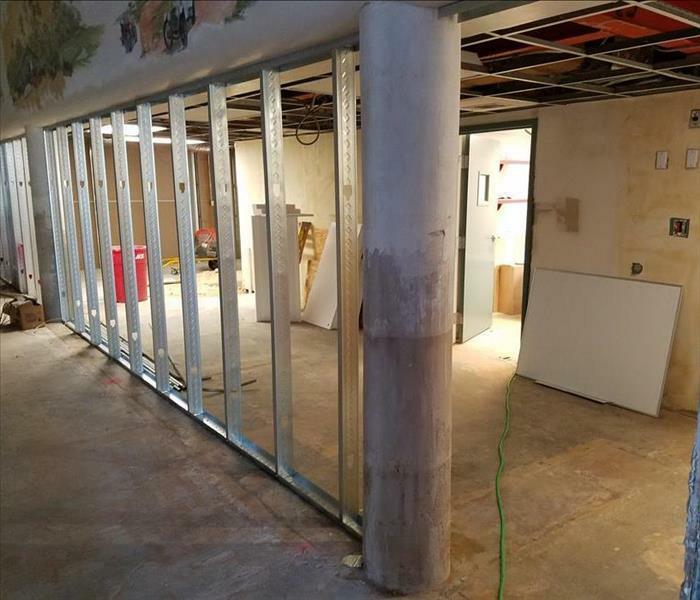 The contaminated materials, after demolition, must be bagged by SERVPRO technicians to prevent cross-contamination to other areas of the office building. Since we are the best in the industry, our technicians receive the best training. 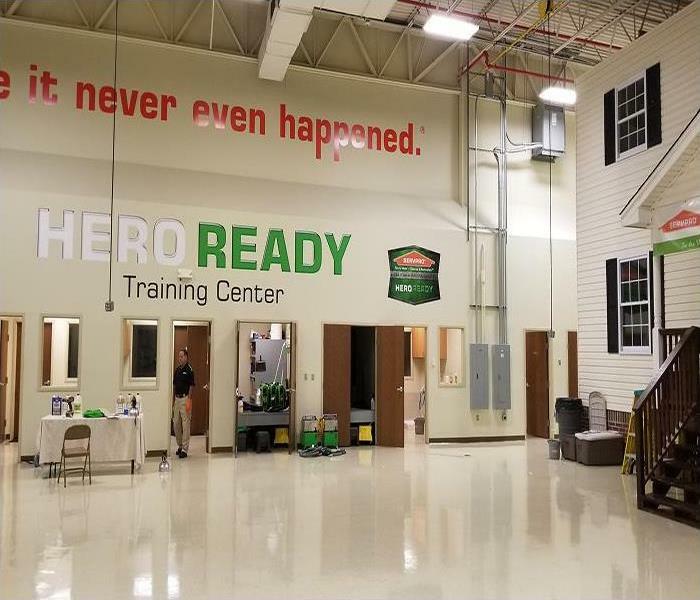 We recently participated in ongoing training at SERVPRO’s Corporate Training Facility. From initial training to regular IICRC industry certifications, rest assured our team has the knowledge and experience to restore your home. 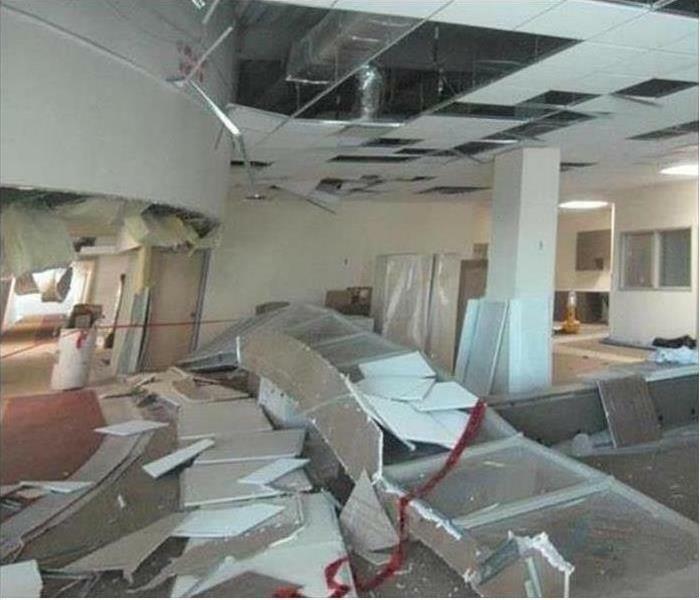 Commercial water damage struck this Port Orange conference center when the roof was damaged by high winds contained within a large band of thunderstorms that hit the area. A lot of water entered the interior of the building causing considerable damage to the ceilings and creating a lot of debris to clean up. Our crew recently responded to a flood damage emergency at a property in Daytona Beach. Our team acted quickly to remove the water and begin the restoration process. Thanks to our fast response we were able to restore this property to pre-damage condition. 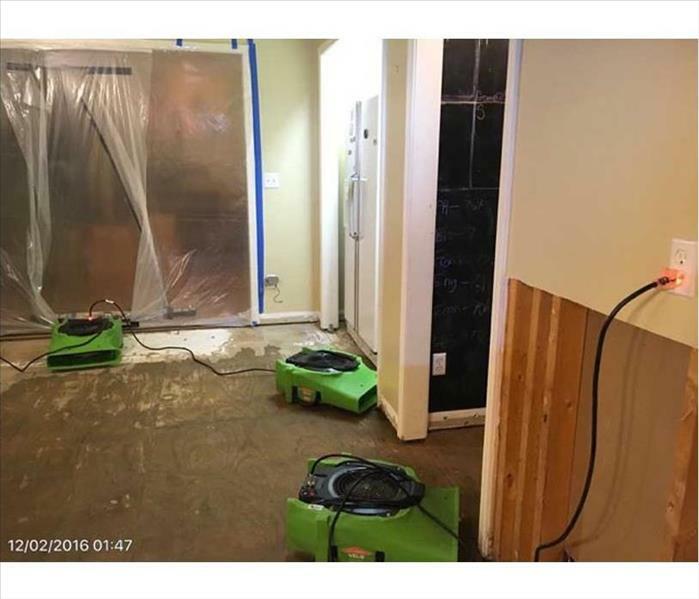 When a flood plagues your property, you can count on our team at SERVPRO for exceptional service. Driving rains from tropical storms and hurricanes always seem to find their way into buttoned-up commercial structures in South Daytona. 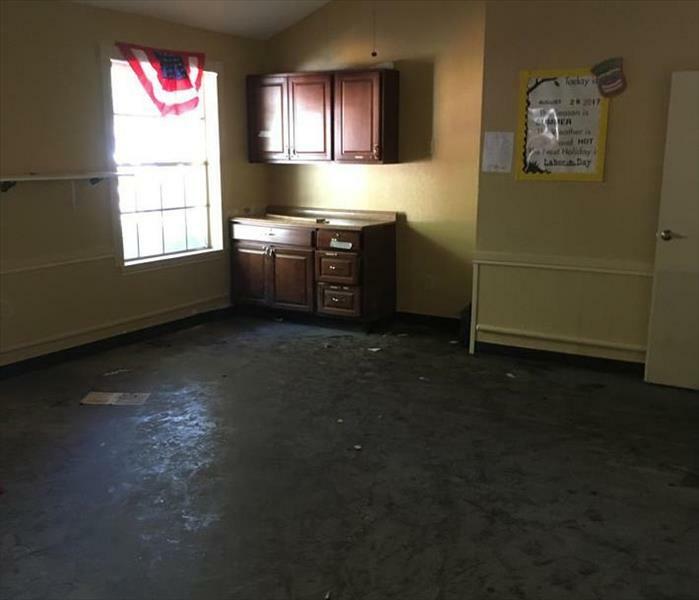 SERVPRO can remove the contaminated water and disinfect the room assuring a safe return for the students. Count on us to always help our community. An ignored leak eventually bred large mold colonies that destroyed the base cabinets and drywall in this South Daytona kitchen. SERVPRO techs can tear out and discard the non-salvageable materials, remove the vinyl floor tiles and begin the antimicrobial spraying to exterminate the fungi. We do this cautiously, with negative air pressure to inhibit the circulation of mold spores during the remediation. Fire damage at this South Daytona home led to several windows being busted out to fight the fire. 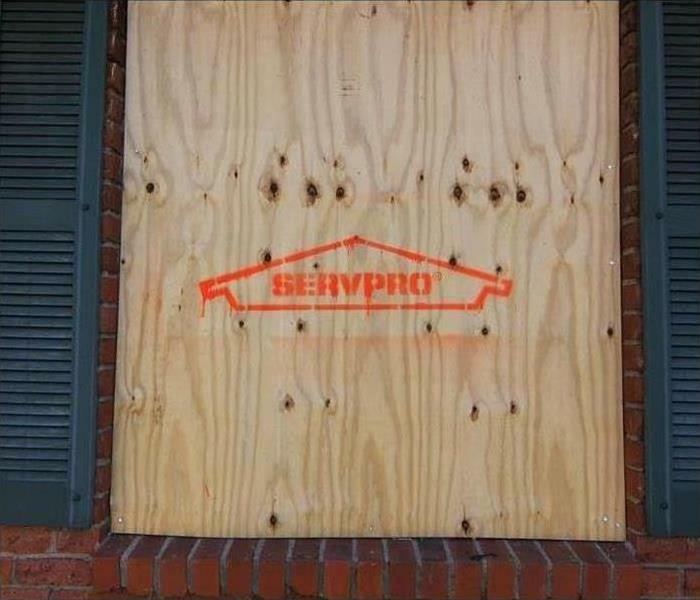 SERVPRO of South Daytona Beach / Port Orange is available on an emergency basis twenty-four-hours a day seven days a week to provide board up services in cases like this. The wind tore a hole in the roof of this house. 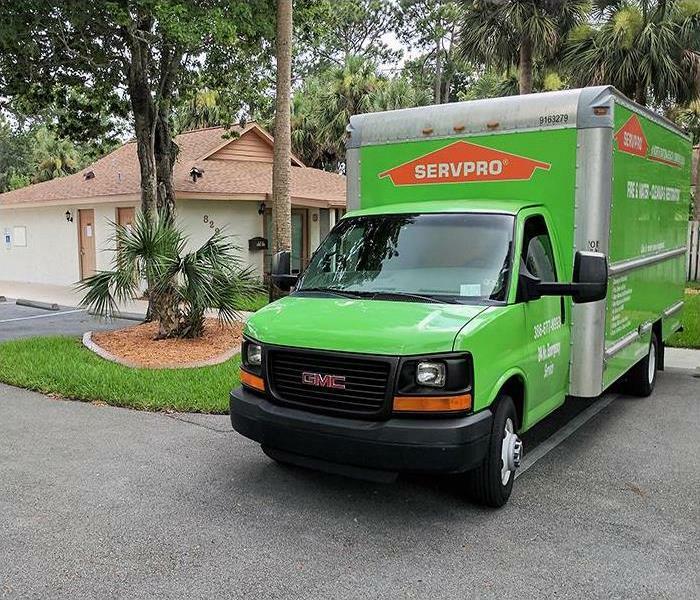 When cleanup after a storm is needed in the South Daytona Beach area, many residents rely on the professional services of SERVPRO. Possible contamination of the fallen attic debris is always a threat, so seek help. 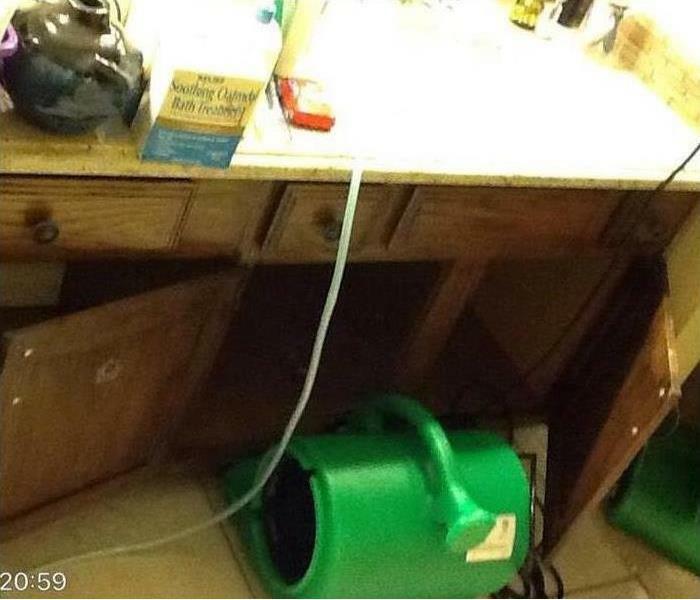 Mold damage in this Daytona Beach hoe’s kitchen was caused by a leak in a water filtration system. As the photo shows, we had to remove the sink and cabinetry to clean up the mold damage that was caused properly. 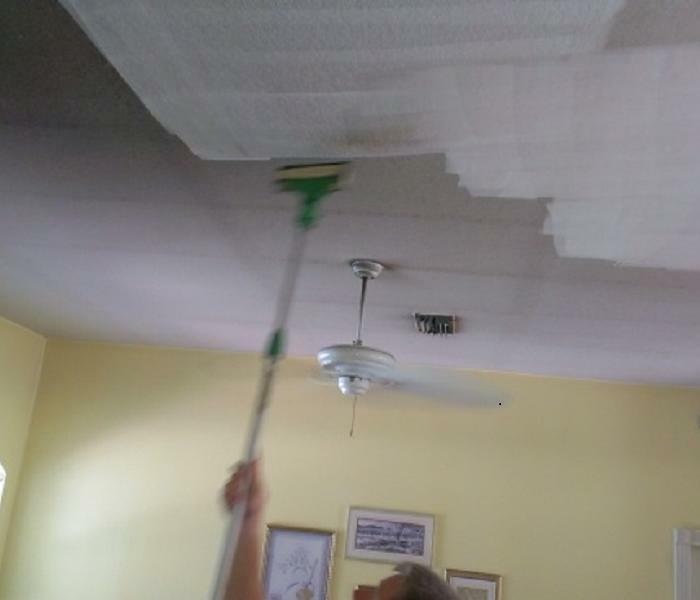 Our technicians quickly responded to a water damage incident at a property in Daytona Beach. We immediately began the water damage restoration process to prevent further damage and possible mold growth. 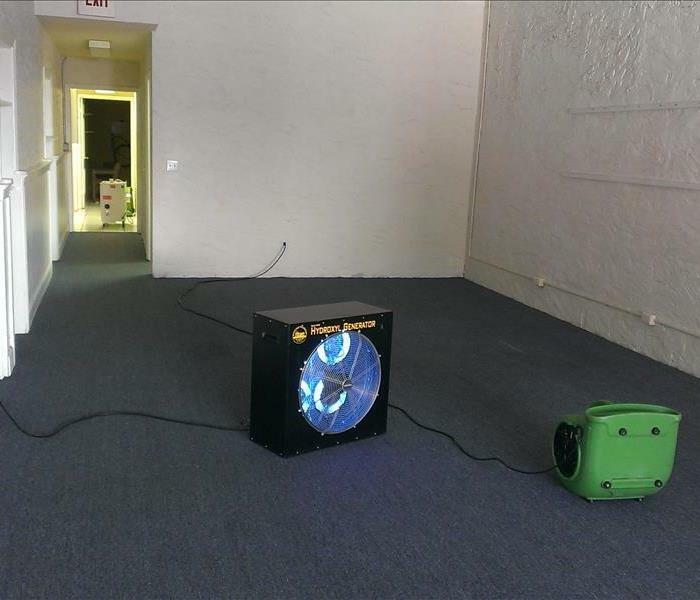 We used our extraction equipment to remove the water and our industrial-grade dehumidifiers and high-speed air movers to thoroughly dry the property. The property was restored to pre-damage condition thanks to our highly trained and certified professionals. 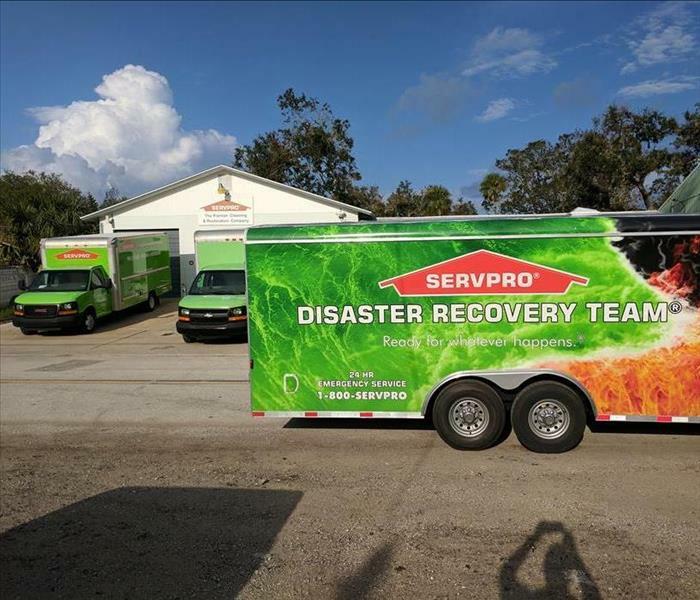 Pictured are several of our Green Fleet vehicles which are members of the SERVPRO Disaster Recovery Team. Loaded with equipment and manned by skilled technicians we responded swiftly to help our neighbors in Daytona Beach and Port Orange during the recent hurricanes. 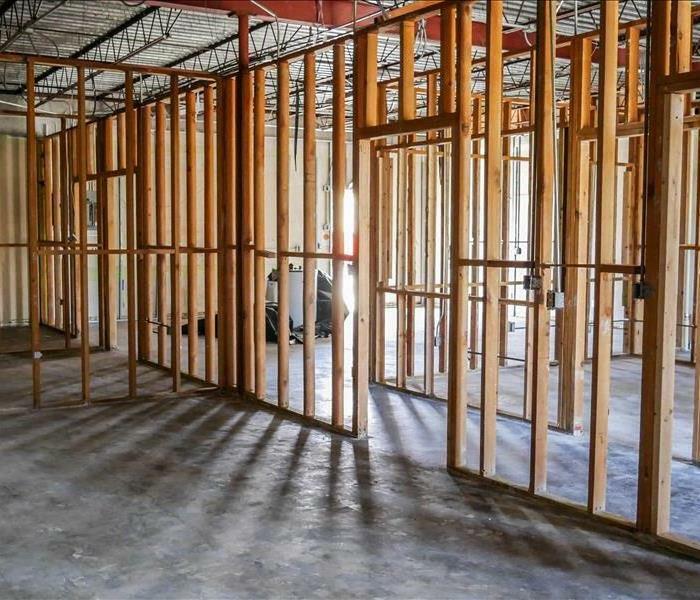 Rely on the premier restoration and cleanup company for any large loss or spill removal needed for your commercial building. We keep our doors open for business. 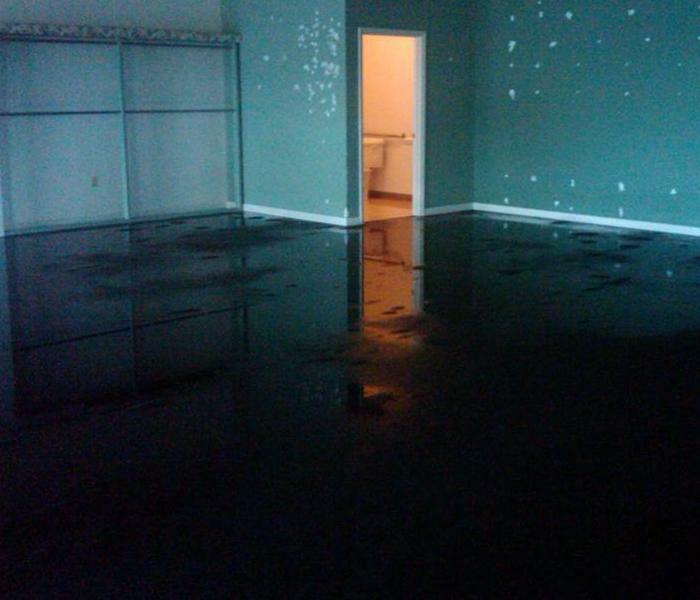 The muddy floodwaters can be removed from this lower level office suite in Port Orange. Even the pictured vehicle can be removed and dried off-site. SERVPRO techs have been trained to disinfect and deodorize flooded structures and restore order. The burning charred and damaged the roof and the siding of this home in South Daytona Beach. Clean up and removal of the non-salvageable elements, then their careful removal to prevent cross-contamination and a larger mess, were carried out by SERVPRO crew members. Now the fire damage restoration, with some slight replacements, could begin. The storm water soaked and destroyed the lower level of the walls and the carpeting in this Port Orange home. SERVPRO removed the water, demoed the non-salvageable drywall, and the shown air movers are still drying out the affected area. To regain preloss moisture content to the concrete pad and wooden studs will take several days. We do it right. Mold damage at this Port Orange home was discovered when the edge of a single tile displayed mold or mildew on it. 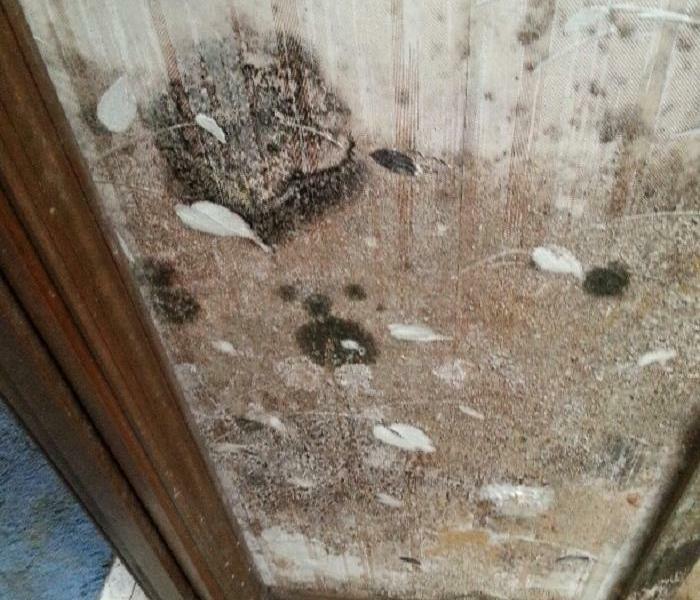 Mold colonies can develop rapidly so it is important to detect the extent of damage you might have immediately. Only a section of this house in Port Orange was dramatically damaged by the storm water. We tossed the contaminated carpeting and parts of the drywall. 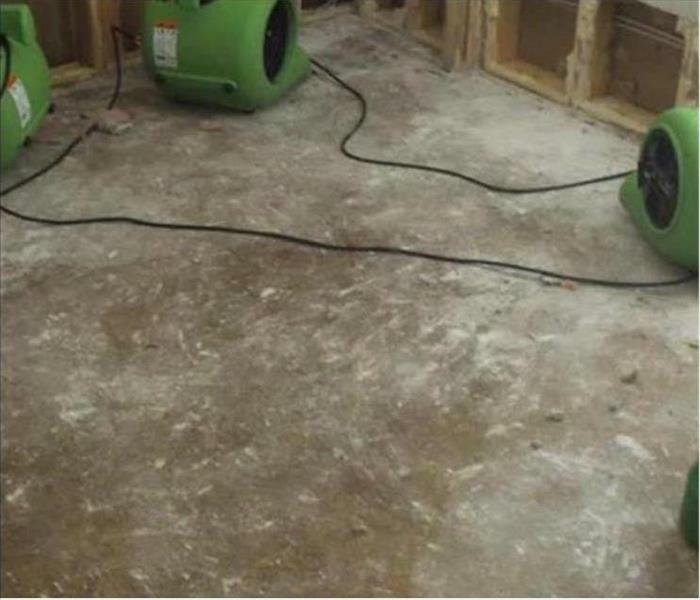 By sealing the affected areas, our SERVPRO technicians expedited the drying process. This home was impacted by a pipe break that went unnoticed for weeks. 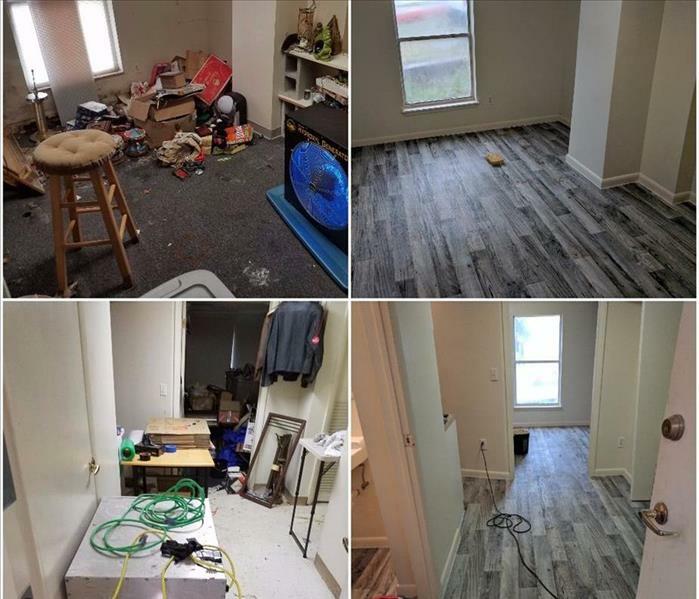 Once found, SERVPRO Daytona was called in to handle the removal and cleaning of all contents and tear out and removal of the floors and walls. Now it's even better than before! No matter the size, SERVPRO will handle it. No matter the size of the job, commercial or residential. SERVPRO can handle it. No one else is equipped with the knowledge, experience and skill to handle anything from a small leak from a sink, to a 150 room hotel that's been damaged from a hurricane. If you've experienced a water damage, call your local SERVPRO today! 386-255-6243. 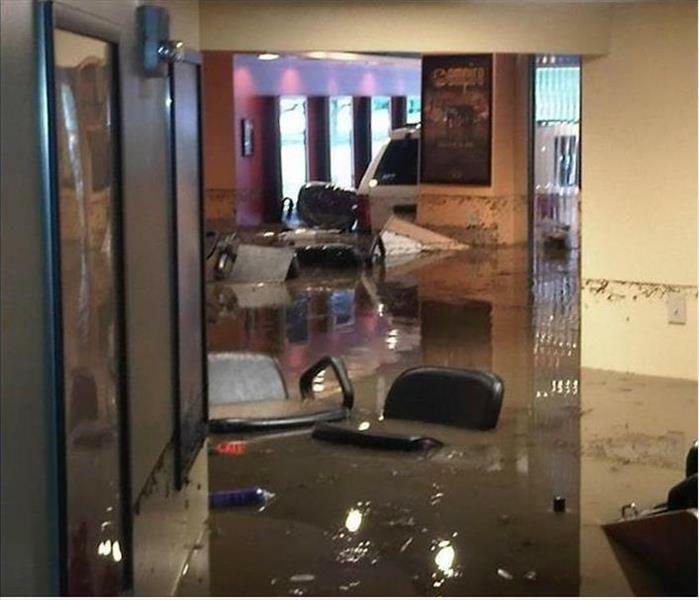 Daytona Beach and Motorcycles are synonymous so it's unfortunate when a local shop gets flooded. But thanks to fast acting employees we were able to get the building dry before any major damage was done. When a pipe bursts, things happen fast. Acting quickly can help keep the cost of remediation and repair to a minimum and by calling SERVPRO you'll get the fastest 24hr service possible. We want make sure you make everything "Like it never even happened." We had a great time at the Port Orange Preparedness Fair. What a great way to spend a Friday with food, music and a little bit of learning, can't wait to do it again next year! Here is two of our SERVPRO trucks getting ready to head out to a job site for smoke and soot damages. Day or night, we're ready to respond to any job. 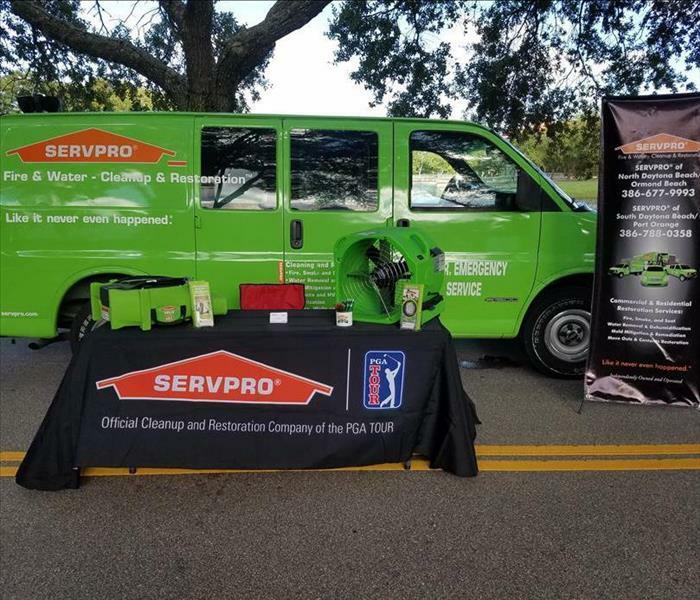 SERVPRO sponsored a hole at a local Daytona Beach golf tournament, making sure we brought some shade and cool water for a hot summer day. If you see us at a local gold tournament make sure you stop and say hi, we'll be sure to have some cold water for you! This picture shows the process of Firewall drying on a commercial water damage that was the result of a water main bursting upstairs. At SERVPRO of Daytona Beach we are the Water,Fire and Mold cleanup experts and we are available 24 hrs a day 7 days a week. SERVPRO of Daytona Beach has been serving the Volusia/Flagler counties area since 1989 as a result of SERVPRO of Daytona Beach/Port Orange expert drying services only the ceiling tiles need to be replaced which allowed this business to reopen much sooner, thus allowing the business to resume normal operation. 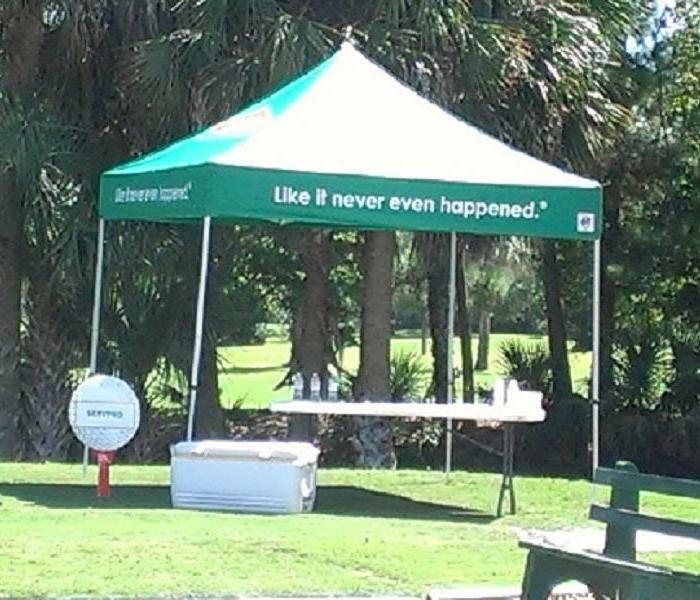 "Like It Never Even Happened." 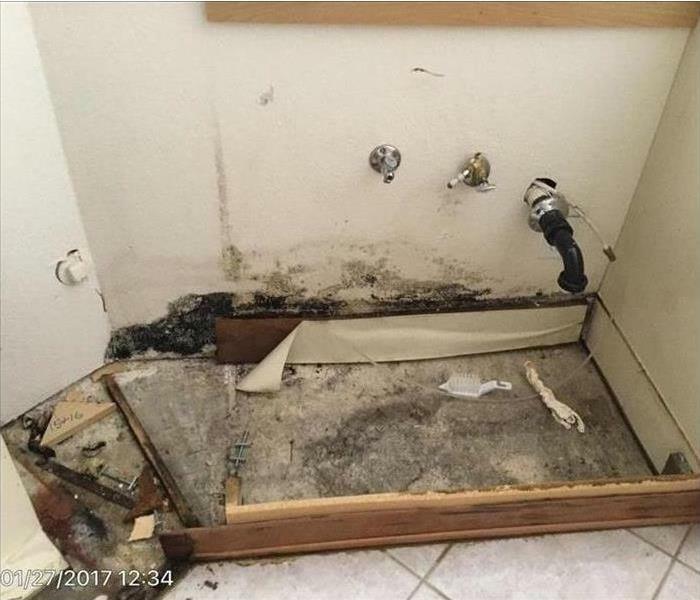 This water damage is the result of a toilet supply line bursting in a strip mall, SERVPRO of of South Daytona/Port Orange was called in because we are the Water clean up and mitigation experts SERVPRO of South Daytona/Port Orange is available 24 hrs a day 7 days a week SERVPRO of of South Daytona/Port Orange has been serving the Volusia/Flagler Counties since 1989. 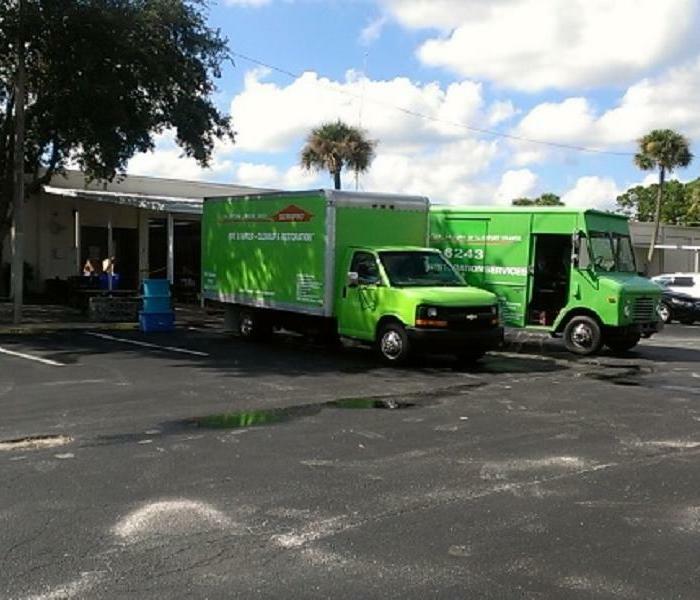 Our trucks on a commercial water damage call, this is a manufacturing facility in Daytona Beach that had flooding over the weekend, SERVPRO of South Daytona/Port Orange was called in because we are the Water, Fire and Mold cleanup experts. 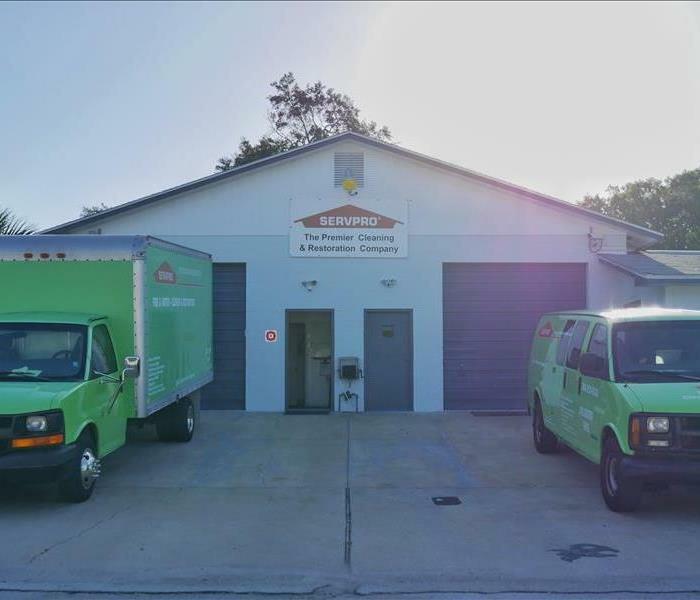 SERVPRO of South Daytona/Port Orange is available 24 hrs a day 7 days a week as a result of our expert drying services the facility remained open with minor repairs. SERVPRO of South Daytona/Port Orange is proud to have been serving the Volusia /Flagler county areas since 1989. Ensuring our customers homes and businesses are returned to a state "Like it never even happened." 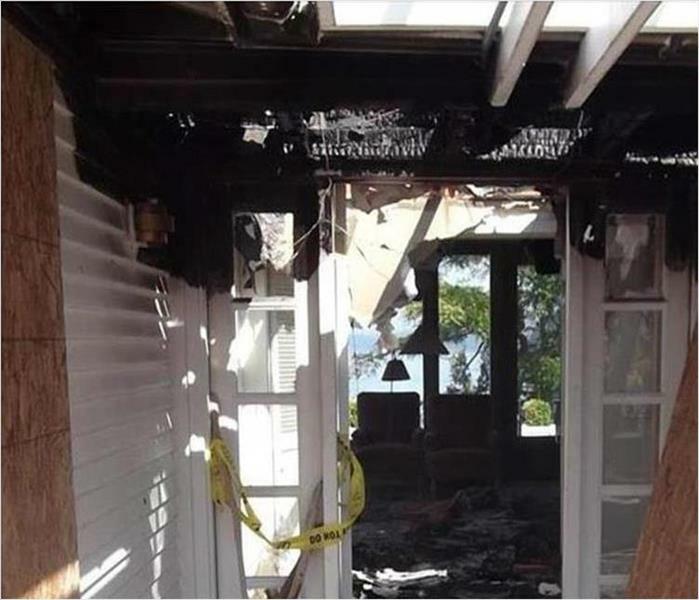 A fish tank motor overheated and caught fire causing damage throughout the entire house. We know it's hard to imagine that something as simple as a fish tank could possibly be a fire hazard in your home, but anything with a motor or plugged into a wall can be potentially dangerous. Prepping the ceiling after smoke damage. We know smoke and soot damage is not pretty and can get everything and leave a smell that seems like it'll never leave your home or business, but rest assured, we have the proper training and equipment to handle these situations. 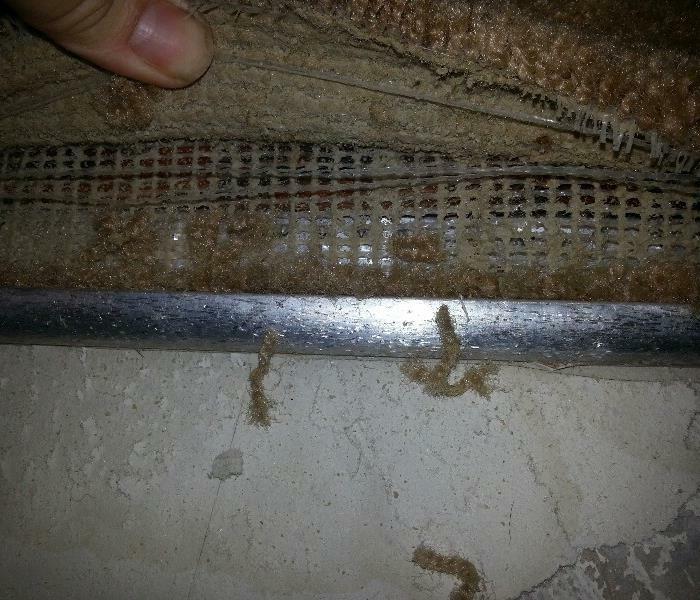 If carpet is left wet for too long it can start coming apart, not to worry, we can fix that. Call us today at 1-386-255-6243 to have someone help you ASAP. Hydroxyl and Ozone treatment used in controlling odors. This hydroxyl machine is one of the tools we use to help control odors in your business to ensure not only you but your customers are getting good clean smelling air. Residential Mold Damage, not only is it unsightly but it's potentially dangerous to breathe in as well. If you have a part of your home that has some mold or maybe you can find any but it smells like you might, give us a call and let us take care of it for you. Not only will it look better, but it'll smell better too! 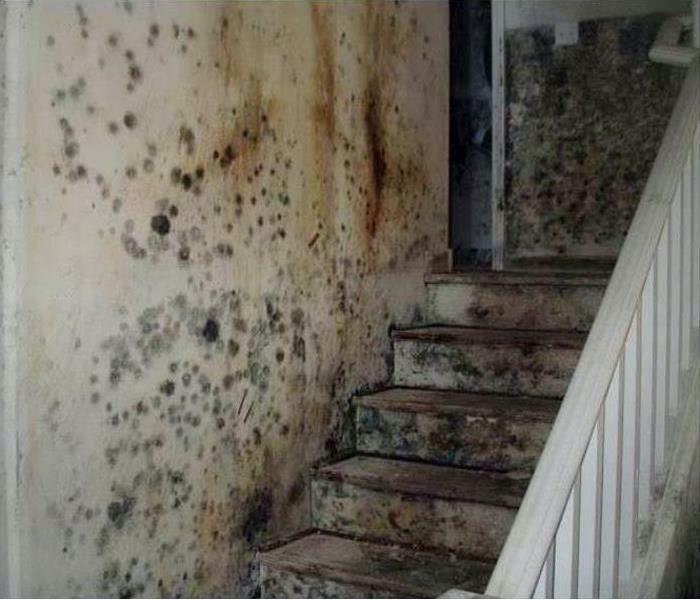 Don't let mold get out of control! 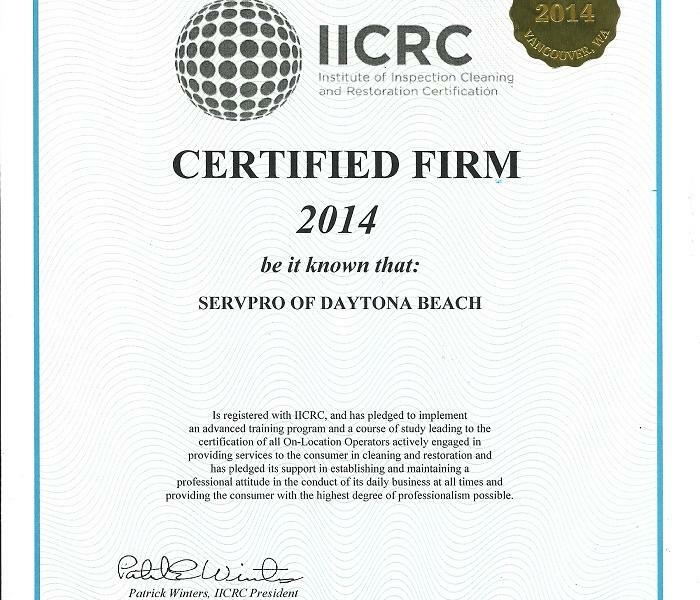 We are a IICRC Certified Firm, meaning that we have been recognized by the IICRC as a company that is head to the highest cleaning and restoration standards, that means you're always getting the best service possible. 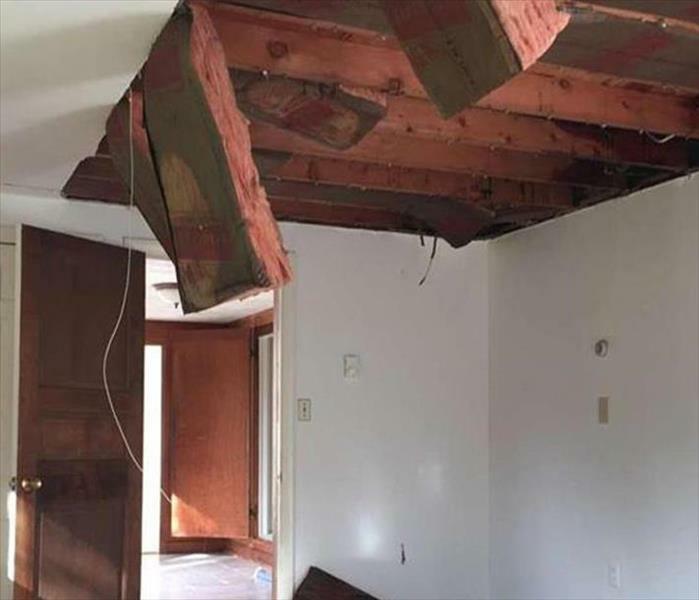 Here at SERVPRO of Daytona Beach we beleive that no job is too big or too small, this photo is a building that had severe water damage caused by a failing roof. 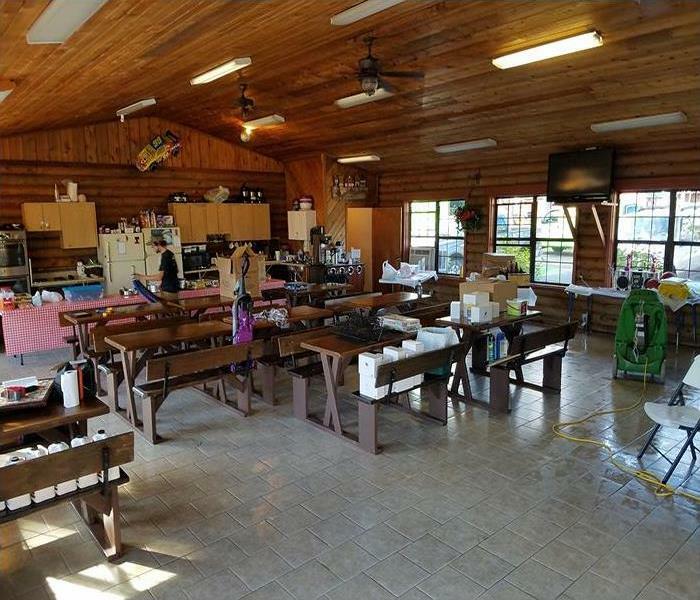 The entire building was gutted and all damage from mold and water was repaired. Look forward to seeing the completed photos of this building "Like it never even happened"